Everyone can benefit from targeted massage to solve specific problems, whether these are long-standing or acute. Regular massage as maintenance is advisable to help keep issues at bay. Find out more about treatments. In the office, massage has proven benefits to employees and their companies as it reduces stress. 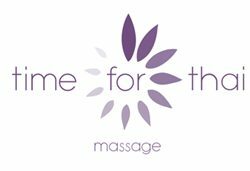 Therapeutic thai massage also assists with neck and shoulder issues and reduces repetitive strain injury by targeting problem areas.